The de Havilland Twin Otter aircraft is a high wing, twin engine, turbo prop aircraft capable of carrying up to twenty passengers in the commuter role. The aircraft has a wing span of 65 ft (19.8 m), length of 51 ft 9 in (15.7 m) and a maximum take-off weight of 12,500 lbs. (5670 kg). The Twin Otter is one of the de Havilland family of “bush” aircraft noted for their rugged construction and Short Take Off and Landing (STOL) performance. 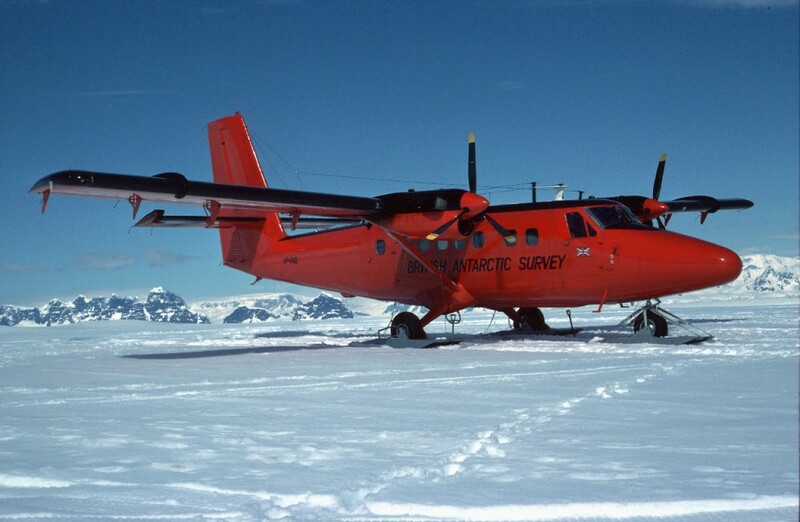 The version operated by the British Antarctic Survey is the wheel/ski equipped aircraft which has the capability to land on snow and ice or hard runways. These rugged aircraft are the backbone of the BAS Antarctic operations. They carry the scientists out into their field locations, they resupply them or move them during the season, and then recover the party to Rothera or Halley stations at the completion of their projects. Modifications to the aircraft allow the fit of airborne surveying equipment, including dual magnetometer, ice depth radio echo sounder, gravimeter, ocean colour sensors, and large and small format cameras for mapping and bird and seal census. 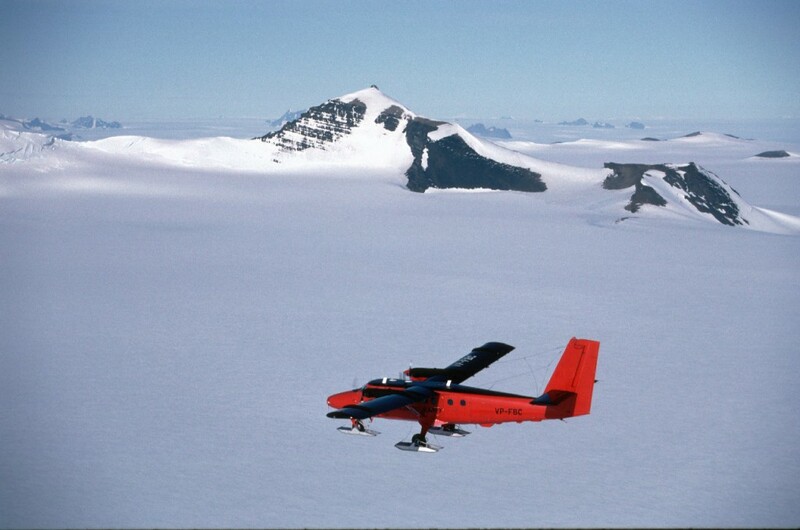 The aircraft also provide an Antarctic search and rescue capability. 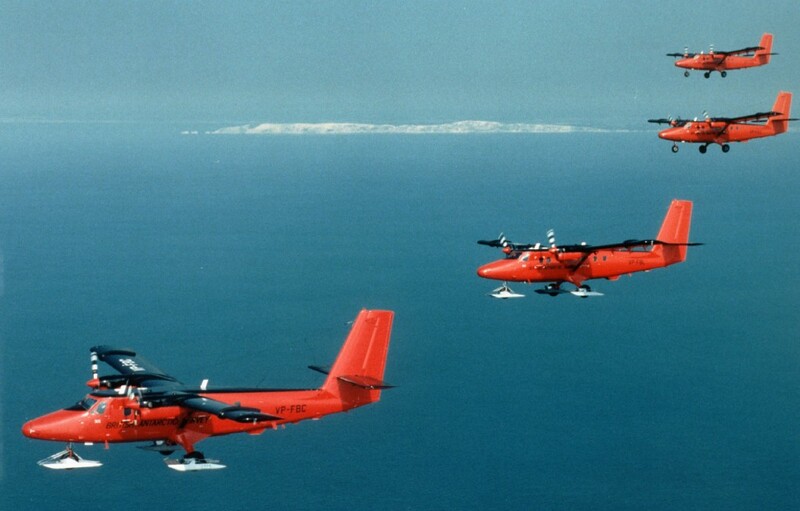 BAS operates four Twin Otters of which one has a full remote sensing capability. In a typical season the planes will arrive in the Antarctic in late October and depart in early March. In total they will fly for around 1300 hours in the Antarctic supporting fifteen field projects.